Samford University's Offices of Parent Programs and Admission are working to bring new members of the Samford community together in 17 different cities across the U.S. The Samford send-off parties allow incoming freshman and their families to make Samford connections in their area before they arrive on campus in August, according to Susan Doyle, Samford’s director of parent programs. The events serve as a good opportunity for the students to interact with future classmates and also to learn more about their first year at Samford. “Our main goal is connect students and families to other students and families in their area,” said Doyle. A student knowing as many people as possible on their first day was also one of Doyle’s main hopes for these events. 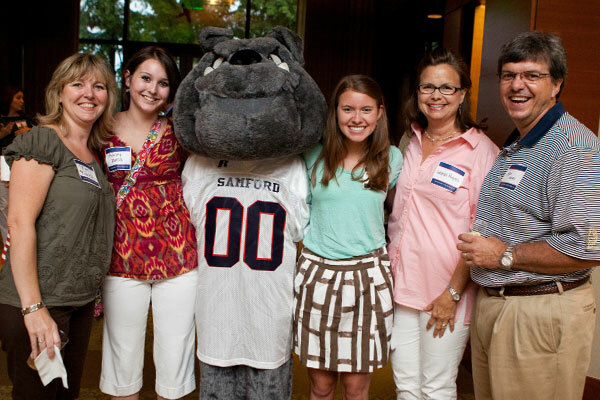 Students and families become acquainted with fellow new Bulldogs from their area and often get to meet Samford alumni who have since relocated to the area. University representatives will also be attending each event. The parties begin July 12 in Mandeville, Louisiana, and wrap up Aug. 8 with the party in Chattanooga, Tennessee.